i am obsessed with stamps. i'm not talking about postage stamps, although i love those too! i've never done this post because i figured "stamps are easy, what could i possibly say about them?" but after participating in a few diy events where visitors were encouraged to try their hand at my craft, i realized...maybe this isn't easy for everyone! below are my tips and tricks. i use rubber, cling foam, and acrylic stamps (though my current preference is for classic wooden rubber stamps as seen above). acrylic stamps are made from a stretchy form of plastic that holds its form, but can be pulled, prodded, stuck and unstuck. they come unmounted, stuck to a plastic sheet. to use them, you stick them to an acrylic block (varying sizes, though my one 4 x 3 block has worked for me for five years). these stamps are usually offered in themes such as "valentines" or "christmas" and are the least expensive. there are anywhere from three to fifteen acrylic stamps on a sheet and the average price is around $15. 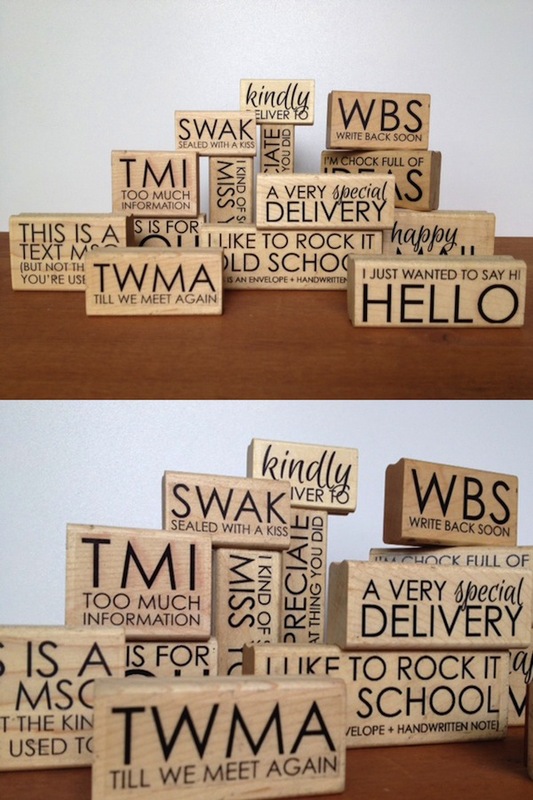 rubber stamps are what you might know best. they consist of a carved rubber image adhered to a foam mount adhered to a wooden block. they sometimes have a handle but i hate those because they encourage rocking (see below). they are very expensive (compared to other types) and average about $10 for one stamp. cling stamps are just the rubber and foam mount mentioned above (though here the foam has a shiny side that sticks to acrylic blocks. i won't do a benefits list below but suffice to say cling stamps fall somewhere in the middle. 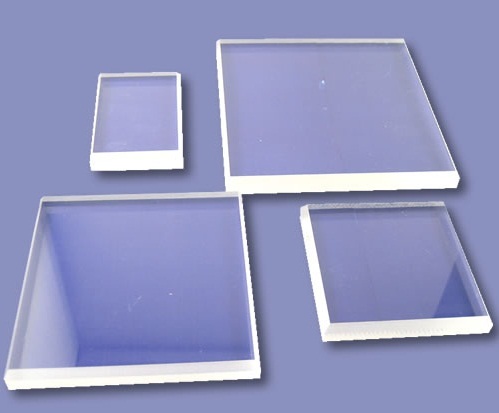 they are less expensive because there is no wood, but since they are opaque, you cannot see where you are stamping. * you can also make your own stamps with erasers, art store lino, or a predesigned kit. *i don't think acrylic stamps can have shading, maybe just crosshatching details etc. but don't quote me! the inks that i use are versafine and versamark. 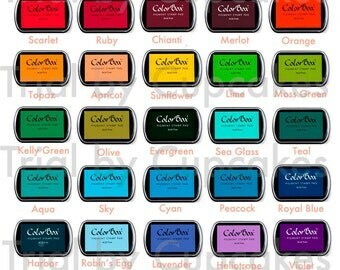 other popular brands include color box and staz on. 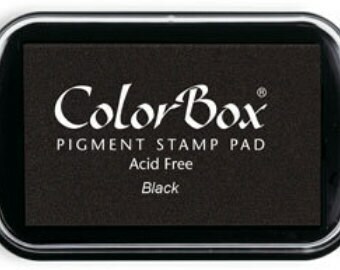 colourbox is fine for black (though not as dark or as good as catching details as versafine, likely because they are pigment inks, not dye) but their chalky coloured pads are sponge-like which coats your stamps in ink, and the colour is never as vibrant as i would like. 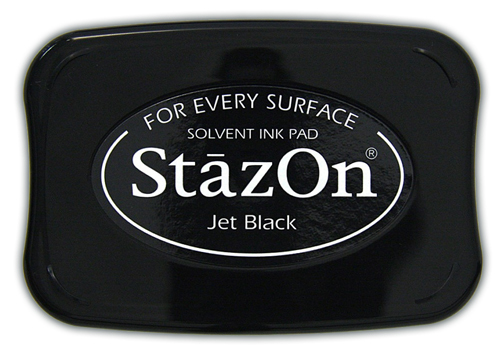 staz on is good for multiple surfaces such as plastics, metals and wood (it stains your stamps however). 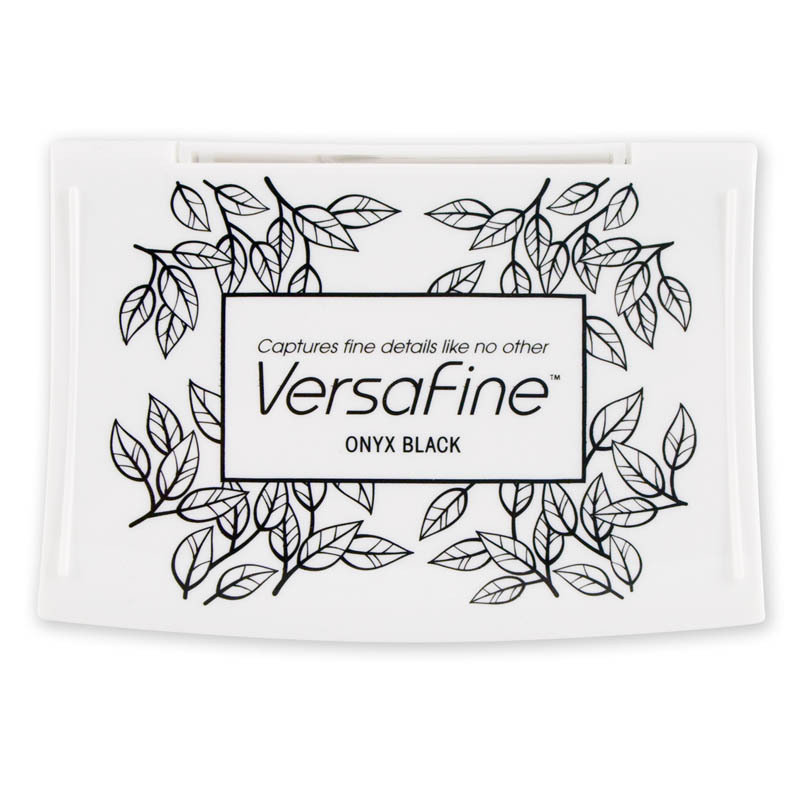 versafine is perfect if you are working with just paper. it has a nice solid pad and stays onyx black for a long time. *tip* always "tap tap tap" your stamps gently on the ink pad. 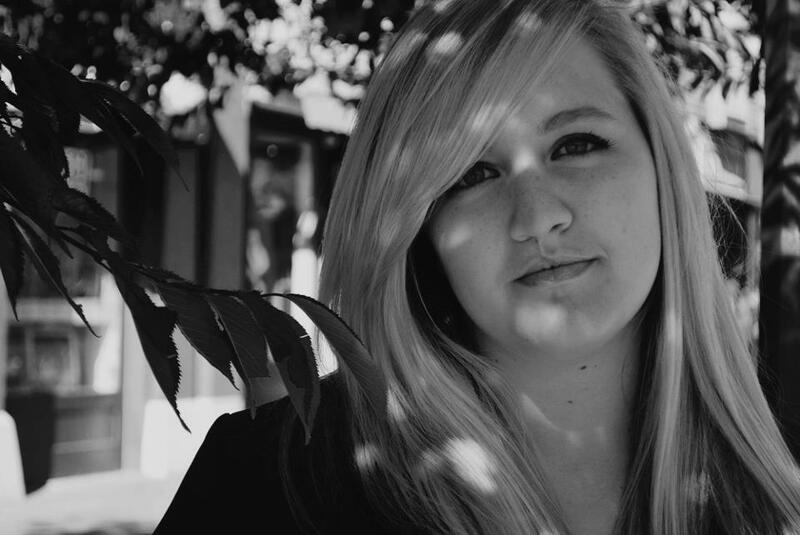 there is absolutely no reason to push hard, or to rock and roll the stamp. i rarely use other colours of archival dye ink. i use tons of embossing colours however. versamark is what i use for embossing but i'll save that for another post. i store my stamps in containers like these. i used to throw them all in a box but i hated how the remnants of ink would make a mess of all the other stamps. not to mention it was hard to find what i needed. my husband saw these 4x6 clear containers at michael's craft store and literally insisted i buy them. i lined the bottoms with parchment paper and the stamps fit really well inside. i can see everything clearly too! i keep the larger outer cases tucked under the coffee table. the types of stamps i like are very specific. when i first began buying stamps i didn't know that i could make my own or that i could hold out for cool ones like this, or this. so i ended up buying a bunch of the cutesy stamps that are ubiquitous in craft stores. now i have hundreds of stamps, most of which i don't use simply because i don't like them. there's images out there for everyone. i love 100 proof press for cool graphics, and if you want a text stamp, i'm happy to make it for you! never rock or roll, we're stamping - not watching a video of the rolling stones. doing so will cause the image to repeat lines, or catch the ridges of the rubber (see below). clockwise, gentle rocking, rough rolling, hard rocking and lack of confidence in positioning. the result of pushing your stamp too hard on the ink pad, and also pressing too hard on the paper. finally, it never hurts to practice, practice, practice.